Amid our different schedule this week, we were happy to be able fit in a Wednesday evening trip to the wetlands, a Thursday morning walk at the Moccasin Island Tract, and a dreary Saturday morning visit to the Click Ponds. The Least Terns and I seem to be frequenting the same areas lately. I saw them at both the wetlands and Click Ponds this week and I am still seeing them regularly along the Indian River. The wetlands have quieted down quite a bit since the departure of the winter birds. The usual Herons, Egrets, Limpkins, Moorhens, Coots, Anhingas, Cormorants, Blue-winged Teals, Pied-billed Grebes, White & Glossy Ibises, and Ospreys were all visible. Red-winged Blackbirds, Savannah Sparrows, a Loggerhead Shrike, and Northern Mockingbirds were a few of the other birds we saw. 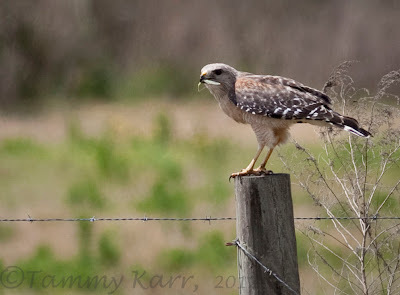 I saw this Red-shouldered Hawk hanging out on a fence post, pulling something apart, on the drive out to Moccasin Island. Turned out to be an insect with large green wings. The Click Ponds seemed overrun with Boat-tailed Grackles and dragonflies. We walked a section of the ponds where we observed a variety of activity in the wooded area that surrounds the ponds. 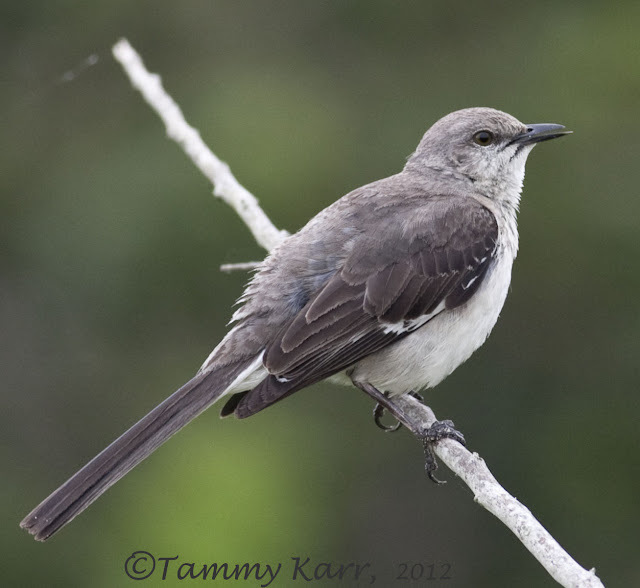 It started with the plump Mockingbird with a bill deformity (I seem to be encountering quite a few of these lately). We saw a pair of Cardinals, a few Yellow-rumped Warblers, several Mourning Doves, and one Common-ground Dove. 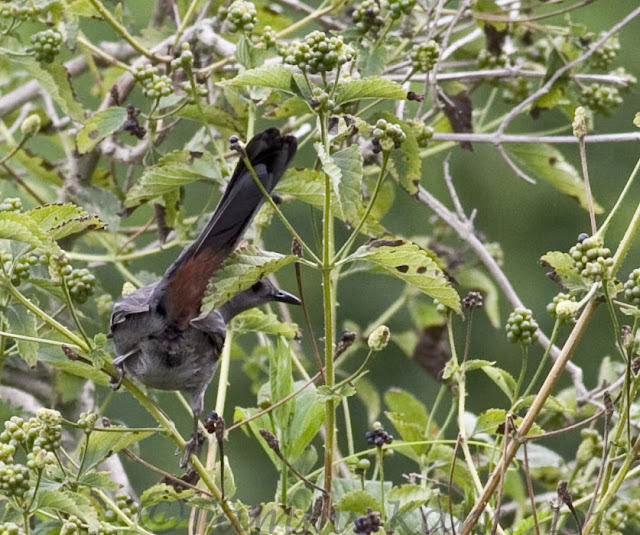 We also saw a Gray Catbird, who decided to flash us a view its rufous-colored undertail coverts. We then spotted a large, in-flight raptor headed our way. It turned out to be a Bald Eagle, and it landed on a utility pole in the far distance, but still within view. Just as I thinking it was exciting to see the Eagle, a pair of juvenile/immature Bald Eagles flew overhead! I have never seen 2 young eagles flying together before. I guess Mom (or Dad) was trailing them to be sure they were staying out of trouble. I saw this new family of Sandhill Cranes on a quiet street by my house. I took these photos from the car. What can i say....these are so BEAUTIFUL, EXCELLENT, AMAZING..... great compliments Tammy. As much as I like raptors, I have to say your Meadowlark photo is my absolute favorite! That's a great shot! But the hawk and eagle are gorgeous. I never get tired of seeing them. Really liking the terns, too! 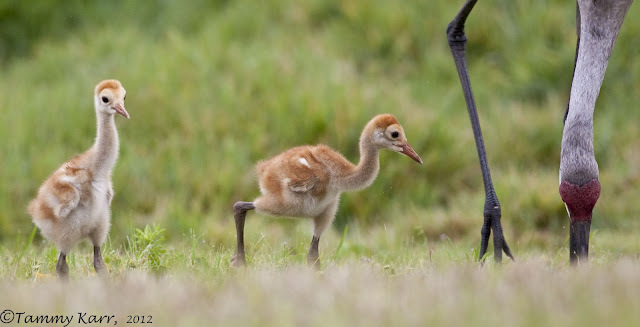 those baby cranes are so darn cute! i really loved that meadowlark shot, too. just beautiful! 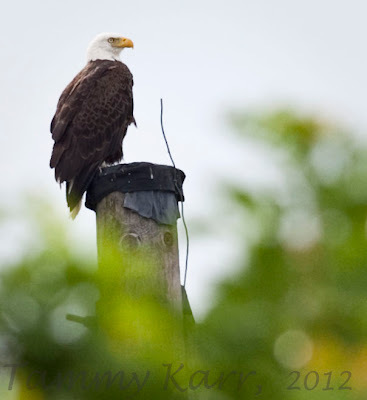 Oh to see a wild Bald Eagle, how lucky you are to see these, what a sight. Great shots as ever Tammy. Thanks for your comments on my Angry Skies picture in Shutterbugs capturing the world around us "Blog". By the way, I love all your birds shot. 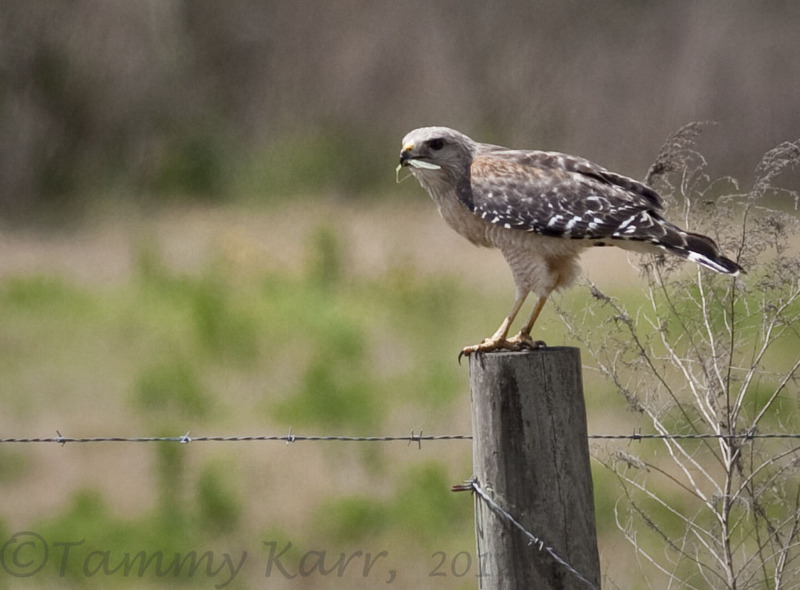 Also, please visit this blog again to view my upcoming bird pictures. Good Work! Muy bonitas todas las fotos Tammy y la última muy tierna. Oh well, you have excelled yourself, grand photos. My fave is the Least Terns, and close to it, is the second of the Sandhill Crane chick, superb. Hola Tammy.. Buenas y variadas fotos.. Me gusta mucho el colorido del pájaro de la 5 foto... Precioso con esos tonos amarillos.. Y el águila de cabeza blanca una belleza.. Enhorabuena y un cordial saludo..
Lovely images Tammy, I especially like the Least Terns because I am very fond of them. Well done! 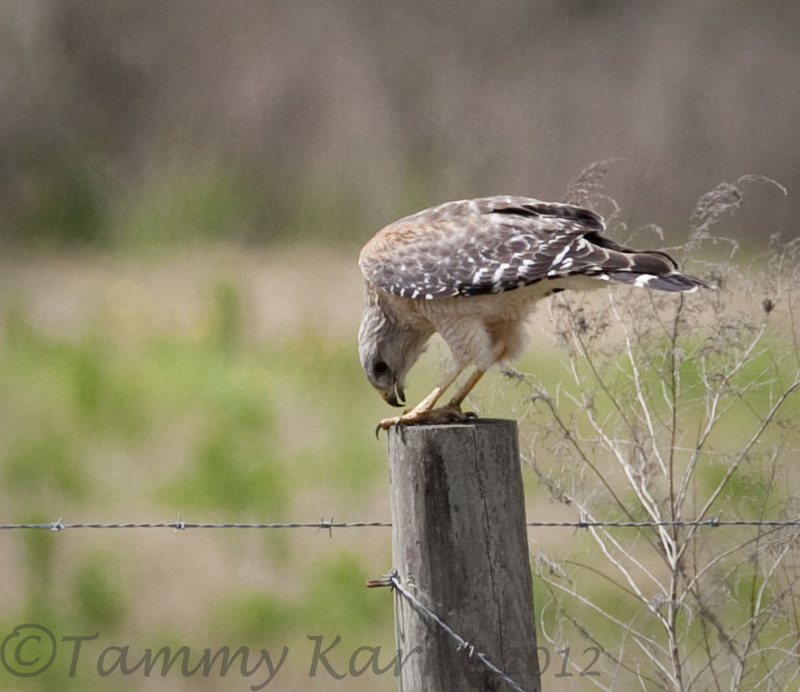 Oh man those cranes are adorable.. And the hawk shots are great too- love to watch birds eat stuff! As always, your images are fantastic. 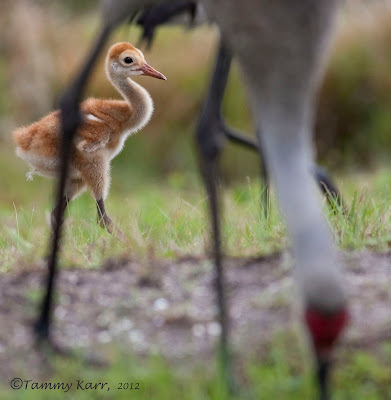 I especially love the baby Sandhill cranes. That first Least Tern and the baby cranes are really something. I see Least Terns almost every day for work, but I never have my camera!!! Can't imagine what its like to have neighborhood cranes though. 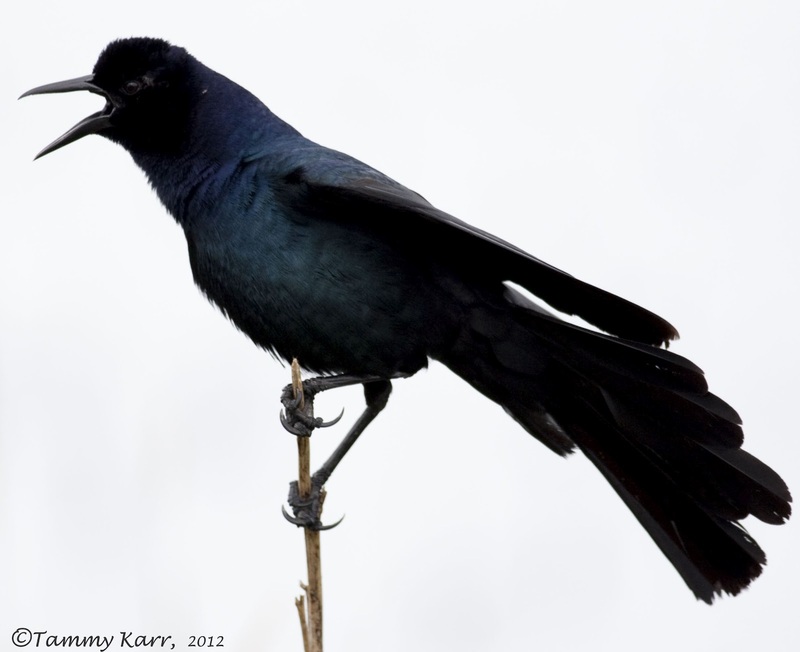 The Grackle may be plentiful, but they have character. Your image captures its true spirit. Another great set of close-ups. Love the ones with the young cranes. What a beautiful array of pictures again Tammy! The Eastern Meadowlark amazes me most! Unas fotos espectaculares Tammy felicidades amiga. Saludos desde Extremadura. 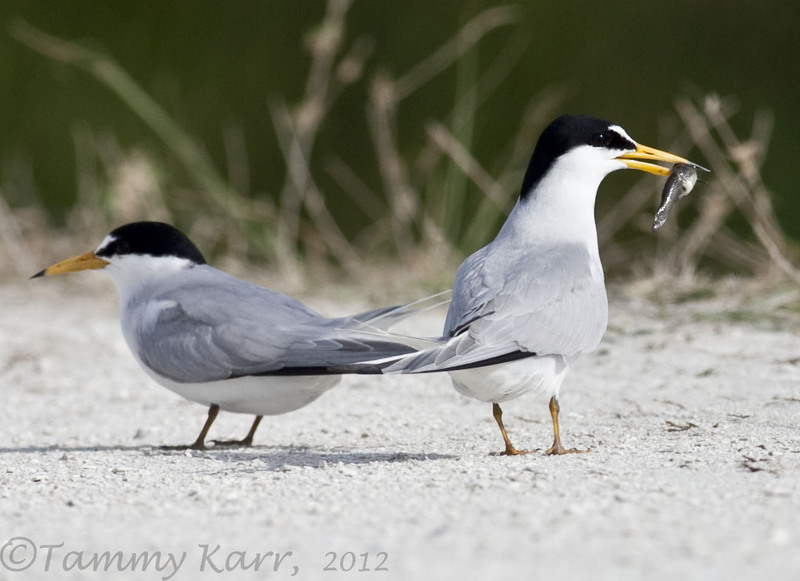 Great shots of those Least Terns! I love seeing them. Still waiting to catch a glimpse of them here in coastal GA. And those Sandhill Crane chicks are just as sweet as can be! Very beautiful bird shots Tammy!! Wonderful pictures ! 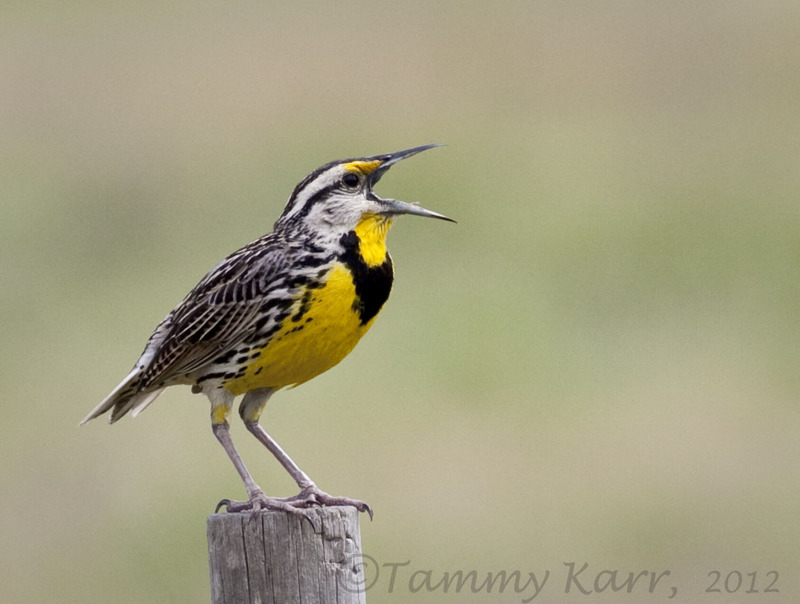 The Eastern Meadowlark is a stunner Tammy. What a great serie of birdphotos Tammy! 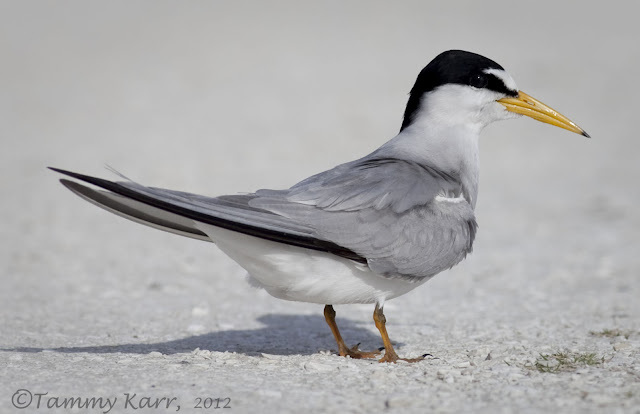 I love the Meadowlark pose and the Least Tern. They are all great photos. The Bald Eagle are one of the Eagle I want to have in my photo gallery some day. There are some great images on your blog, but I especially like the Meadowlark!